Eipix Entertainment presents the next exciting story in their popular crime drama series Dead Reckoning! The world-famous Amazing Garibaldi Brothers have been hired to perform their newest illusion for the grand opening of the Stevens Tower Hotel. You’ve been invited to the premiere as the screenwriter for an upcoming film that they will be providing new illusions for. But something sinister is lurking backstage, and when a murderer strikes, you must use all your wits to find the killer, before they pull their own magic trick and disappear. 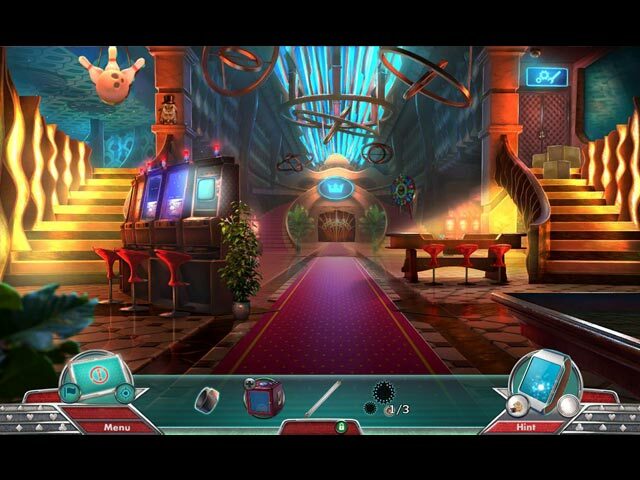 Watch closely and don’t blink in this amazing hidden-object puzzle adventure game! Dead Reckoning: Sleight of Murder is rated 3.8 out of 5 by 6. Rated 5 out of 5 by CourageAngel from Now You See Them, Now They're Dead I have to admit that one of my favorite series is Dead Reckoning. And getting back into the series after being away for a while is wonderful. 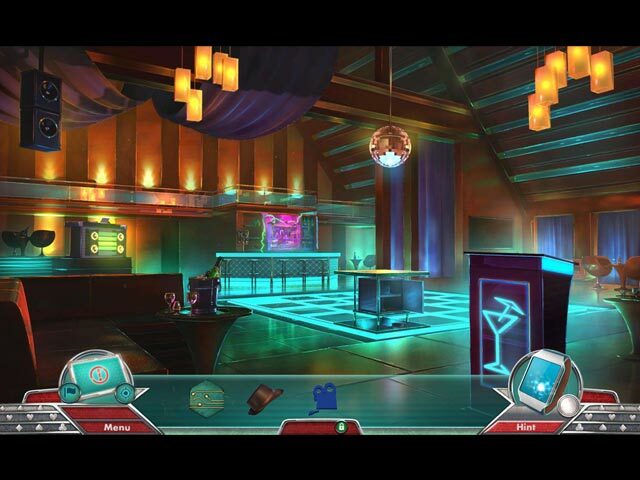 This game, Sleight of Murder, does not disappoint. I was openly suspicious of one character in this game, and then another was added onto the list. And then, before I knew it, I had to toss my guess/deduction out the window. I'm not complaining though. Plus, learning more about illusions was fun. The entire game was lovely, from the graphics to the voices to even the smallest detail. The game is definitely worth the price. Rated 5 out of 5 by Bugirl from Not enough I enjoy the whole "Dead Reckoning" series, and this didn't disappoint except for the fact I got it finished in 4 hours! $6.99 is too much for such a short game. What I got I really enjoyed though. Rated 4 out of 5 by fiewi1 from In a world of magic! Look out for the hatted bunny in all scenes. What I really didn't like in this game was the fact that you usually only had 1 thing at a time to do, so not many options as per your movements. That means that if you're stuck, you're stuck for good. But what I do like is that while examining an object missing, the explained action needed would hint as to what you must find/do. Its strong point is the story, that's for sure! Rated 4 out of 5 by pfhia from Slight of Murder I give it 4 stars just for the different storyline. The graphics aren't the greatest, but there are some really different and difficult puzzles. Rated 3 out of 5 by PATinPNS from Is this the Death of DR? This is posted after playing the entire game. I believe I have all the games in this series. This one is by far the worse of them all. I was very disappointed in the game play, the story, and the level of challenge. Now, having said all that, I'm not sorry I bought it. I was really expecting more from Eipix and felt that after the demo it would get better. I guess one should not compare previous games with new ones, but it's hard not to. The graphics were excellent. Extremely realistic and colorful. The effects went along with the action in the scene and the music was okay too. Voice overs were well done. No complaints on the quality of these. The mini games were horrible in my estimation. They either repeated the same action over and over, like finding parts of constellations and others. Not my favorite to begin with, but to repeat the same actions was not fun at all. Many I could not figure out what to do or were so convoluted and confusing I just gave up. Hidden objects were fine. They were varied in type and were interesting to do. The only complaint I have with this developer is the small windows that pop up with hidden objects in them. They are so small it is really hard to see anything. The interactive map was a necessity, because there is so much running back and forth. It was hard to tell from the action and the story what needed to be done. It shows where there are things to be done and will transport you. The story started out pretty good, but dissolved right before my eyes. I was so confused by the end, I couldn't remember who was who or had done what. When the murderer was unmasked, I had forgotten who the person was. Others will go into the story in detail, so I won't do that here. I just think there could have been a bit more to the story, but I survived it. Although I felt this game rated way down in what I expect from Eipix, I'm glad I bought it. It's not the longest game, but long enough to satisfy my desire. The one saving grace is there were no witches, ghosts or things that go bump in the night. This was such a relief. Give the demo a try and perhaps you will have more enjoyment than I. Rated 2 out of 5 by pennmom36 from YEP, THIS VERSION IS BORING TOO! The Dead Reckoning series is like a box of chocolates, you never know what you're going to get, a great game, or a dud. Run Forest, run away from this game, it's not SLEIGHTLY boring, it's really boring! Broadbeach Cove, The Crescent Case and Snowbird's Creek were duds, but Death Between the Lines, Silvermoon Isle and Brassfield Manor were fairly decent games. The only thing Dead Reckoning has going for it, is that you look for clues HOP style to deduce whether or not the suspects are telling the truth. This is supposed to be a Murder Mystery, a Whodunit, but in the Collector's Edition version, DR choose to offer 36 Hidden Bunnies wearing a top hat! That certainly is a whodunit feature, who-dun decided to include it? These fuzzy bunnies aren't even hidden, they are large and in charge, but then again, it's pretty difficult to hide a Rabbit wearing a Top Hat in a somewhat realistic setting, therefor, if you just gotta have this game, I suggest this version over the CE version for a less hare...oing experience. Illusionists are cool, but nothing's cool about a dead illusionist! 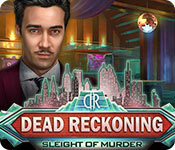 Dead Reckoning has given us another murder mystery to solve, so somebody has to die to give us a murder case to solve. When one of the famous Garibaldi Brothers Illusionists is found dead under mysterious circumstances, baby brother Santiago is left to carry on the torch alone. Who's responsible? Could it be the film director who doesn't want anything standing in the way of the most realistic film he's ever directed? Could it be the owner of the The Stephens Tower Hotel, the subject of the cutting edge film? Could it be Francisco's angry girlfriend, or baby brother Santiago who may think that three's a crowd? Whoever is responsible, one thing's for sure, the show must go on..... 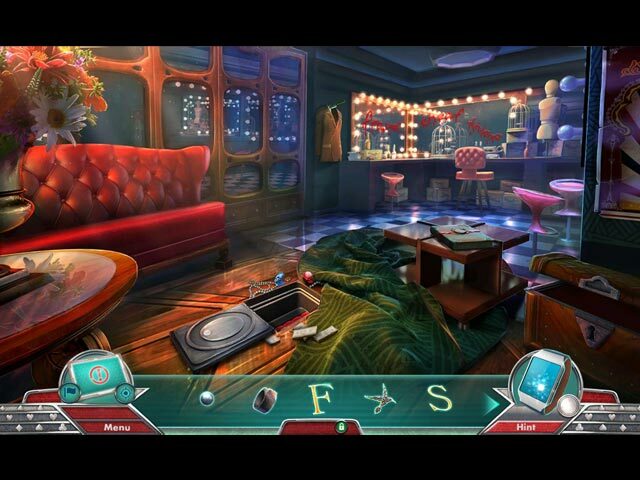 The Hidden Object Scenes have some old familiar Dead Reckoning, "find clues that prove truthfulness or deceit" when interrogating people involved with the subject. There are also Interactive, Progressive Silhouetted Shape finds, Interactive List finds, and finding items that describe two items when combined. You can play an alternate Bubble Shooting game, in the CE. The Mini Games are okay, but nothing spectacular. Below are brief descriptions of some of the games you'll encounter during the demo: 1) Stack the cubes according to the diagram, by pressing an adjacent tile that is lower than a cube. 2) Release all the straight jacket belts in the correct order, all buckles must be clicked once without backtracking. 3) Cross reference 2 symbols to receive the code for the safe. DEAD RECKONING GAMES AVAILABLE: Title***Collector's Edition release Date***Average Rating -Brassfield Manor (CE 3-12-15) 4.4 -Broadbeach Cove (CE 2-20-16) 3.8 -Death Between the Lines (CE 10-29-16) 4.4 -Silvermoon Isle (CE 7-12-14) 4.4 -Sleight of Murder (CE 6-10-17) 3.6 -Snowbird's Creek (CE 8-27-16) 3.5 -The Crescent Case (CE 7-23-15) 3.5 The Collector's Edition has 14 replayable Hidden Object Scenes, 19 replayable Mini Games, replayable Bubble Shoot games, 7 Wallpapers, 8 Concept Art pictures, 36 Hidden Bunnies, a Souvenir Room, 5 Videos, 9 Music Soundtracks, 14 Achievements, a built in Strategy Guide and a Bonus Chapter.